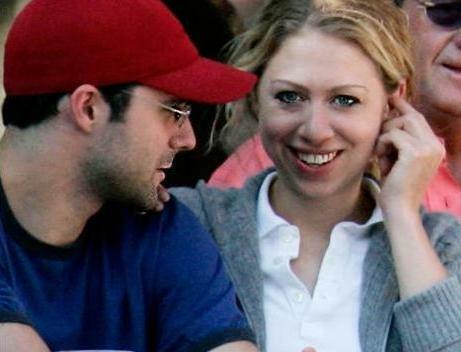 Chelsea Clinton, the daughter of former President Bill Clinton and U.S. Secretary of State Hillary Clinton, is getting married to her longtime boyfriend Marc Mezvinsky on July 31, 2010. Many have speculated that Chelsea Clinton’s wedding ceremony will take place at Martha’s Vineyard. But according to new reports from New York Mag, the nuptials will reportedly be held July 31 somewhere in New York. Apparently the wedding location of Chelsea Clinton will only be revealed to the 400 lucky guests a week before the wedding. “The wedding planner will contact each guest directly a week in advance and let them know where it is,” says the fund-raiser. There is also rumor that Chelsea Clinton will be wearing a gown designed by Oscar de la Renta on her wedding. Nashville Pride: The American singer Vanessa Carlton said she is bisexual. On Saturday in front of a crowd of more than 18000 fans Vanessa Carlton admitted that she likes women. So does that make Vanessa Carlton a lesbian? We guess so. But Vanessa says she is not a lesbian, but a proud bisexual. “I have never said this before, but I am a proud bisexual woman,” Vanessa Carlton said. The American artist Vanessa Carlton is a singer-songwriter and pianist. Vanessa is best known for the single “A Thousand Miles” from her debut album, Be Not Nobody released in April 2002. Portugal crushed North Korea by 7 goals to nil in their FIFA world cup 2010 match. The Group G second match between Portugal vs North Korea was completely dominated by the European team especially in the second half where 6 goals were scored. Man of the match Ronaldo not only created numerous chances to score but also hit a goal by himself in the 87th minute when Portugal completed demolishing N.Korea by 7 goals. Soccer City, South Africa: Brazil defeated Ivory Coast (Côte d’Ivoire) by 3-1 in their world Cup Group G match. Star striker Kaka received a second yellow card and was shown a red card when he appeared to dig an elbow into the chest of Kader Keita. The African players couldn’t make much of impact agaist the 5 time world champions Brazil. After 25 minutes from the start of the game, Kaka gave a brilliant pass to Luis Fabiano who cleared the defender before receiving the ball at the right hand corner of the goal post and converted into a goal with a spectacular shot. Luis Fabiano hit his second goal just after 5 minutes when the play restrated to take the South Americans to a 2-0 lead. Elano completed the tally with the 3rd goal in 62nd minute and in return Ivory Coast replied with a goal by Didier DROGBA in 79th minute. Brizilian star Kaka got his first caution yellow card in 85th minute and got a second one in 88th minute. With the late red card Kaka is going to miss the next world cup match. Brazil won the match by 3-1. With this victory Brazil booked a place in last 16 at the FIFA World Cup 2010. Arizona: The new immigration law in Arizona goes into effect July 29. Over the past 10 years, the citizens in Arizona has expressed growing frustration with a lack of action from the federal government. The public is also concerned over violence committed by illegal immigrants in Arizona. Many people believe that the authorities are not doing enough to solve the problem. In April this year, Senate gave final approval to an amended SB 1070 and the bill went to Governor Brewer signed it into law. The new Arizona immigration law makes it a state crime to be in the country illegally and requires law enforcement to question an individual’s legal status if an officer has reasonable suspicion. 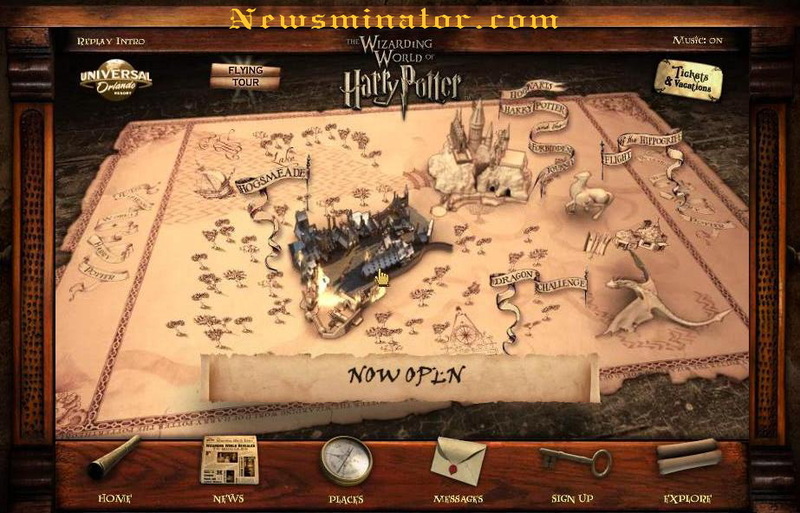 Orlando, Florida: Universal Studio opened its Harry Potter theme park, The Wizarding World of Harry Potter today at 5:30 am. Minutes after opening more than 5000 guests were inside The Wizarding World of Harry Potter at Universal Resort Orlando in Florida. 13 years after the first Harry Potter’s adventures were published, imagination became reality at Universal Orlando where Harry Potter fans can actually feel the sensation of quaffing a butterbeer, finding a magic wand at Ollivander’s or escaping the steam from a snarling dragon’s snout at the Harry Potter theme park. Harry Potter (Daniel Radcliffe) and Rupert Grint (Ron Weasley) were both present at the grand opening of The Wizarding World of Harry Potter theme park.